We also provide maintenance and repair services for a number of solar systems throughout Ireland. Solar servicing is offered for both thermodynamic solar systems and conventional solar systems. This includes systems such as evacuated tube and flat plate solar systems. There are a wide range of thermodynamic solar systems installed throughout Ireland. These systems have a different level of refrigerant designed to run the system at its peak performance. Over time this refrigerant liquid can drop below the recommended level. It is recommended that all systems are serviced in 3 year intervals. We offer solar servicing for these systems to replace the refrigerant liquid and replace corroded anodes. System running continuously and not getting up to the set point temperature. Panel icing up on a normal day. Compressor running a lot hotter than normal. 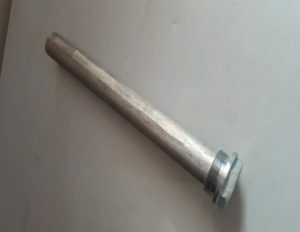 It is extremely important to change the Magnesium Anode to prolong the life and quality of the stainless steel tank. There are a wide range of conventional solar systems installed throughout the country. These systems use a glycol mix to transfer the heat from the solar system into the cylinder. 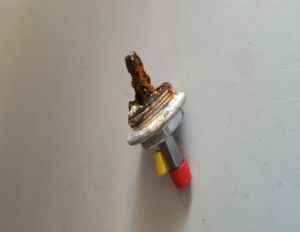 This glycol needs to be maintained at a constant level which is usually 2 bar pressure. This glycol can lose its quality over time so would need to be changed or topped up in 2 year intervals.